The Betmar Lola Beret- Whatever Lola wants, Lola gets! 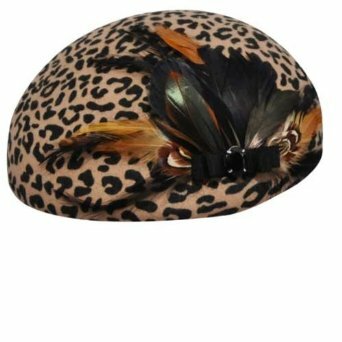 The Betmar Lola Beret is a sassy Parisian style beret made of smooth Leopard print wool felt. Topped with a spray of feathers and finished with a sparkling rhinestone, this is a little animal print hat that gives that extra touch to any outfit.